Trinidad and Tobago international Rundell Winchester finished with a hat-trick to his name on Friday night in a 6-0 North East Stars’ win over his ex-employers Central FC. The affair, albeit lopsided, was the highpoint of a Pro League double-header at the Ato Boldon Stadium in Couva and included 40-year-old ex-Sunderland and Birmingham City striker Stern John selecting himself for the full ninety minutes in Central strip as head coach/player. Hashim Arcia’s converted penalty six minutes from time in the first game earned Defence Force a narrow 1-0 win over Jabloteh and saw the Marvin Gordon-coached side hurdle the San Juan Kings for fourth position in a match that had looked destined to finish in a stalemate due to some fine goalkeeping on either end by the Army/Coast Guard combination’s Andre Marchan and opposite shot-stopper Javon Sample. 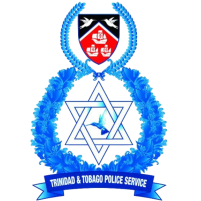 The second game, however, provided a nightmare at the office for Central’s mid-season goalkeeping acquisition, Kern Caesar, although producing a number of saves and having legendary Trinidad and Tobago striker Stern John utilising his recent status as Central player/coach for a second time this week. North East Stars substitute Jalani Felix snatched his first ever league goal when he bent it like Beckham for the visitors’ fifth item before Winchester completed his hat-trick and the 6-0 rout which included Jameel ‘Shooter’ Neptune’s second goal of the season—all after captain Elton John opened the scoring from the penalty spot in the third minute. 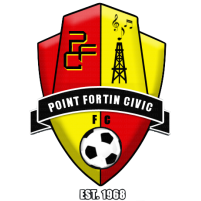 Central, the three-time defending League champions, are now without a win in their last ten games in all competitions with their latest putting them on the wrong side of the heaviest league defeat of the 2017 campaign, eclipsing the 5-0 and 5-1 results they and W Connection had posted against Point Fortin Civic and St. Ann’s Rangers on June 23 and August 12 respectively. 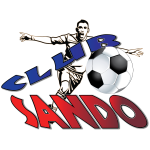 With the win, North East Stars improved their position at the top of the Pro League standings with 24 points, four clear of second-positioned W Connection who must host Point Fortin Civic from 4pm at the Mannie Ramjohn Stadium on Saturday (today), while Central, with a game in hand against Jabloteh, remain sixth with 10 points and their title defence slipping away, and fast. Stern John, who came out of playing retirement last Tuesday – for the first time since 2015 – as late substitute in a 2-0 Central loss against bitter Couva W Connection, now stands with four straight losses in all competitions since holding North East Stars to a 1-1 draw on his head coach debut on September 8 after the exit of Dale Saunders. Stern John, one of Trinidad and Tobago national team assistant coaches failed to help his club side avoid humiliation in their latest attempt to rebound from their lowest slump, and North East Stars, despite failing to convert a bag of chances were not sympathetic. Elton John, one of six ex-Central players in coach Derek King’s starting line-up, fired the Stars ahead 1-0 after just three minutes, wrong-siding ‘keeper Caesar from the penalty spot after he was brought down in the box by defender Rhondell Gibson. Caesar had to fetch the ball from the back of his net on three more occasions before the interval despite making four saves in the first forty-five minutes against a side that had dominated wholly. Neptune made it 2-0 with a cool finish past Caesar following a sweeping move by the Stars with Winchester finding Stern John’s 2006 World Cup teammate Densill Theobald, who then fed the assist to Neptune. Winchester, whose first item was a neatly-timed half volley off a Kevon Villaroel cross in the 31st minute, got to a double before the break, separated only by a change in playing position by Central’s Stern John. Stern John had initially tried to pull the strings sitting deep in his Couva Sharks’ half, but with just over half hour played and his side on ropes with a three-nil deficit the ex-England Premier League player moved himself into the forward role where he failed to roll back the clock to the era that earned him a record 70 international goals for T&T. Meanwhile Winchester, a 23-year-old speedy Tobago-born forward, got to his second on the night five minutes from the break with a powerful shot at the end of a brilliant team move involving Villaroel and Neptune. 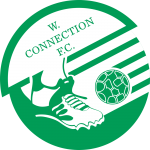 Winchester failed to convert three second half chances as his side wasted on numerous occasions before finally completing his hat-trick in the 85th minute to put his league tally at 7 goals this season with a glancing header past Ceasar off substitute Duane Muckette’s floated free kick into the area to complete the 6-0 scoring. But it was a world-class left-footed free kick by Felix curling the ball into Caesar’s far netting from the left four minutes earlier that was the most brilliant of them all. 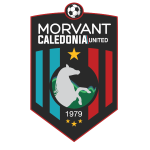 Today’s action will also see Morvant Caledonia United host Police FC from 4pm at the Hasely Crawford Stadium. 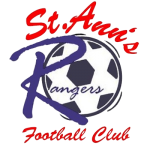 And on Sunday third-placed Club Sando, eager to rebound from Tuesday’s 2-0 loss to North East Stars, will visit cellar-placed MIC-IT St. Ann’s Rangers from 4pm. Central FC 0 vs North East Stars 6 (Elton John 4’ pen., Jameel Neptune 14’, Rundell Winchester 21’, 40’, 85’, Jelani Felix 81’), at the Ato Boldon Stadium. 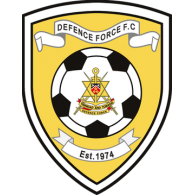 Defence Force FC: 1.Andre Marchan (GK); 3.Jamali Garcia, 4.Dave Long (16.Kellon Serrette 71st minute), 9.Devorn Jorsling (8.Christopher Durity 76th minute), 10.Hashim Arcia, 13.Marvin Jones, 17.Curtis Gonzales, 18.Reon Moore, 23.Kerry Joseph (12.Jemel Sebro 58th minute), 26.Justin Garcia (Yellow Card), 99.Jerwyn Balthazar (Capt.). Unused substitutes: 15.Shaquille Bertrand, 19.Thurlani George, 32.Jameel Cooper, 45.Dylon King. 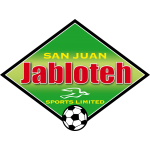 San Juan Jabloteh: 1.Javon Sample (GK); 6.Akeem Benjamin, 7.Elijah Manners (Capt. ), 8.Elijah Downy (22.Kadeem Hutchinson 53rd minute), 9.Keithy Simpson, 13.Julio Noel (12.Keron Bethelemy 77th minute), 15.Jesus Perez, 17.Sean Bonval, 18.Jevon Morris, 23.Kennedy Hinkson (3.De Jon Waldropt 77th minute), 27.Nathan Lewis. Unused substitutes: 35.Andrew Durant (GK); 4.Nkosi David, 16.Jairo Lombardo, 19.Shawndel Augustus. 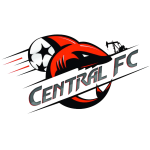 Central FC: 30.Kern Caesar (GK); 6.Shem Clausel, 7.Jason Marcano, 8.Sean De Silva, 10.Matthew Sirjoo, 12.Taryk Sampson, 13.Rhondell Gibson, 17.Jesse Joseph (29.Ross Dowden 75th minute), 24.Jules Lee (Yellow Card), 40.Sean Bateau, 42.Stern John. Unused substitutes: 1.Stephon Seepersad (GK); 5.Rahim Jarvis, 18.Tyrik John, 26.Mickaeel Jem Gonzales, 28.Jiron Francis. 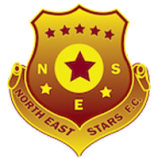 North East Stars: 1.Jesse Peters (GK); 2.Keston George, 3.Kevon Villaroel, 5.Julius James, 11.Rundell Winchester, 12.Elton John (Capt. ), 18.Densill Theobald (10.Duane Muckette 61st minute), 20.Yohance Marshall, 21.Kevon Goddard, 22.Jameel Antoine (19.Jelani Felix 75th minute), 23.Akeem Garcia (6.Anslem Jackson 61st minute). Unused substitutes: 30.Akel Clarke (GK); 4.Kerry Baptiste, 7.Kishun Seecharan, 25.Qian Grosvenor.